Six years ago, the first Porsche Tunnel Challenge was initiated. Only a small group of people attended - we had as many tunnels as Porsches during the first event. (19). After the try-out in and around Amsterdam (The Netherlands) the community of drivers and enthousiastics kept growing. With an average of three challenges a year we managed to have very succesfull events. 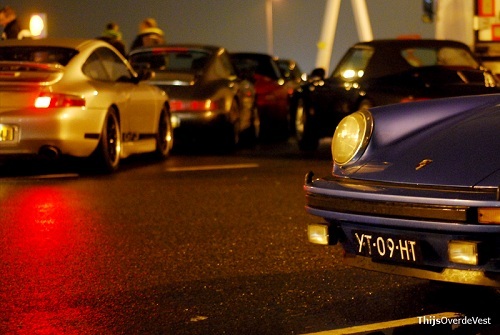 In 2009 85 Porsche drivers joined this event (Rotterdam Area). Early 2010 about 65 Porsche drivers joined this event (Amsterdam Area).